Defend Lytham can understand why, after recent comments made by his ministers, Mr Cameron would want to try to persuade the “desolate” and “unloved” North West that he really does have our interests at heart, but this suggestion is totally unconvincing. The idea that Blackpool could become some sort of new Aberdeen is as fantastical and baseless as Mr Cameron’s recent claims that shale gas will reduce our domestic energy prices. The reality is that any economic stimulus from the shale gas industry for Blackpool and the Fylde would be very short time and most of the employment opportunities would be for a small number of skilled workers imported from abroad. The real thrust of what he wants for the shale gas industry can be found elsewhere in his speech “Regulation – down” and “Taxes – cut for businesses”. 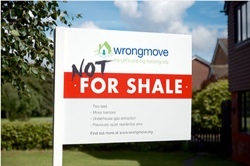 Nowhere in his speech did we hear about any concern for the blight which shale gas exploitation will inevitably bring to local communities.